Of course, nobody was dumb enough to stare directly at the sun, especially through a telescope. There are rumors that Galileo — one of the most intelligent people to ever live — did this and went blind. He did indeed go blind, but it was when he was 72, a quarter century after he finished his solar observations. 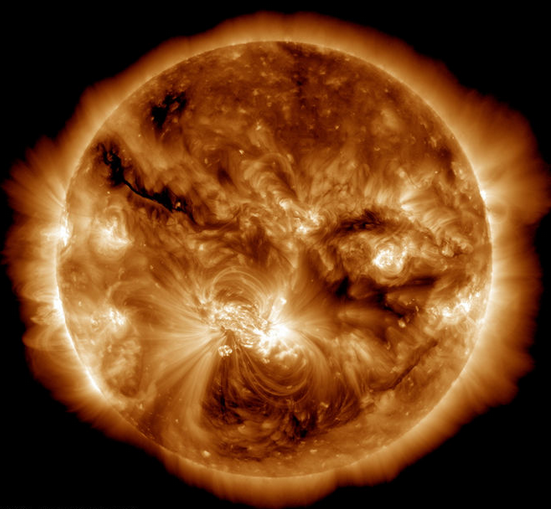 Finally, observers found that the sun's own magnetic field would flip from north-south to south-north and back to north-south. These flips happen every — wait for it — 11 years.